SACRAMENTO – On the same day that the governor of California signed a bill into law mandating that boys who identify as girls be allowed to use girls’ bathrooms and vice versa, a California committee approved legislation which would cause any non-profit organizations that do not embrace homosexuals to lose tax-exempt status. Later in the legislation, approximately 25 youth organizations are specifically listed as entities that would have to embrace these “gender identity” and “sexual orientation” guidelines, or else lose their tax-exempt standing. Little League, Boy Scouts, Cub Scouts, Girl Scouts, Young Men’s Christian Association, Young Women’s Christian Association, Future Farmers of America, Future Homemakers of America, 4-H Clubs, Boys’ Clubs, and Girls’ Clubs are all included. 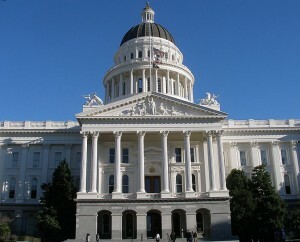 On Monday afternoon, California’s Committee on Revenue and Taxation held a hearing on SB323, and eventually approved the legislation by a 6-3 vote. Now the bill moves forward to the Committee on Judiciary. However, a news release from Lori Arnold of the California Family Alliance argued that the “Anti-Boy Scouts Bill” is both self-contradicting and unconstitutional. However, Brad Dacus, president of the Pacific Justice Institute, told Christian News Network that the enforcement of AB 1266 will lead to instances of “extreme violation of [students’] privacy,” with “horrendous” mental and emotional ramifications. Dacus further said that both SB323 and AB 1266 are being driven by those who want non-traditional sexual behavior accepted and protected in every arena. “It’s a massive demoralizing campaign which is being engaged in at the expense of countless young people who will be unquestionably impacted,” he said.